Synopsis, Our Opinion: Excellent Ribolla Gialla. Producer/Winery: Alberto Piovan; La Viarte; Udine, Italy. 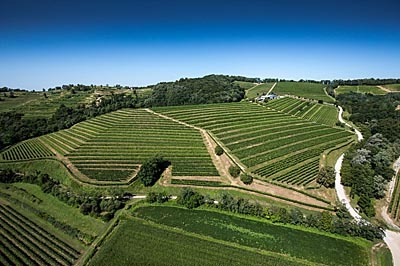 Geographic Appellation, Region, Country: Friuli colli Orientali, Italy. Paired With: Grilled blue fish, basmati rice and brocolli. Chilled before opening. Clear wheat straw color. 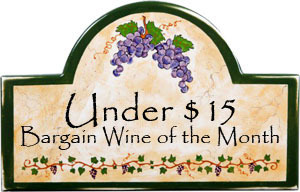 Ripe Bartlett pear, apple and light daisy-like floral aromas. Zesty, polished light to medium body and 150-grit texture. Bold flavors of tart apple, peach and lemon, but with a little nuttiness in the background. Lots of fresh acidity and a long slightly bitter fruity tasting finish. Excellent paired with the oily fish, but with a slight stainless steel taste when drinking alone after the dinner. Very well balanced and quite elegant even though it’s crisp and refreshing. 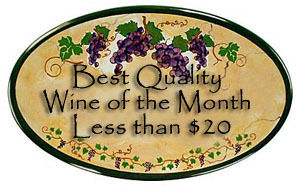 We’ve had Ribolla Gialla wine several times before and thought it was exceptionally good Italian white wine. This one was especially good with its concentrated fresh flavors and ethereal finish. 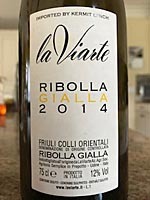 Excellent Ribolla Gialla.